With the new ESR floor-level installation system, Kaldewei now offers a complete solution for maximum security in the bathroom. Designed with two sealing layers, the system frame for floor-level applications ensures reliable waterproofing of the enamelled shower surface for optimum protection against water penetration over its lifetime. As a result, installation of the ESR floor-level is now even simpler and more secure for the installer. Available in almost 50 different sizes, the pre-assembled frame is supplied with integrated sound insulation and foot units, allowing even faster installation. 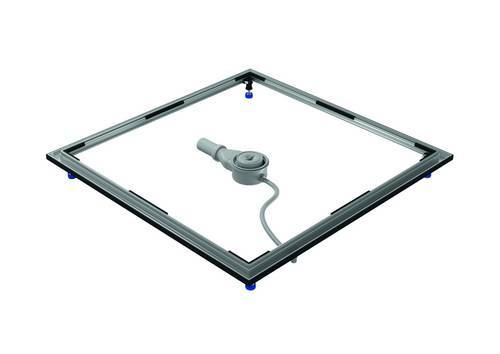 The new Kaldewei ESR floor-level ensures easy and secure installation of enamelled shower surfaces. Fully pre-assembled in sizes from 75 x 80 cm to 100 x 180 cm, the solid aluminium frame of the ESR floor-level makes a perfect fit for the relevant shower surface. Sound insulation tape and foot units are pre-fitted to the frame, making the installation even simpler and faster for the installer. The system is supplied with recess aids and formwork panels for the screed recess and floor fasteners to secure the frame in place. 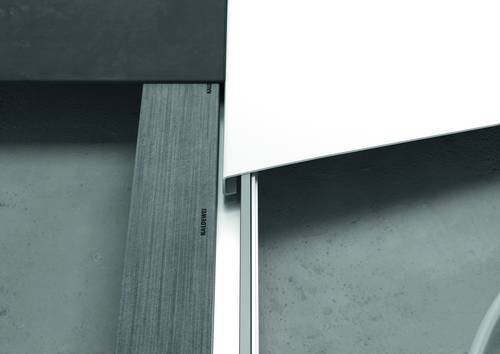 Also included is a specially developed version of the Kaldewei floor-level sealing kit, whereby the insulation strip and preformed corner profiles are applied directly to the frame and integrated into the composite floor and wall sealing to protect the building fabric. A second sealing layer applied to the frame profile is designed to prevent water from leaking underneath the shower surface. The reliable anti-seepage connection with backflow preventer is integrated in the frame profile between the two layers. Connected to the waste fitting, it channels penetrating shower water directly to the siphon. The 3D Flex leg system can be adjusted both horizontally and vertically, allowing for flexible adjustment to almost any installation situation. A separate extension kit enables heights of up to 250 mm, with easy adjustment of the 3D Flex leg system and individual fine-tuning of the foot units from above using the Allen key supplied. Once the ESR floor-level is correctly positioned, the screed and tiling can be completed. Waste fitting and enamelled shower surface are installed last, protecting the shower surface from any damage throughout the process. Kaldewei’s website offers digital services for professionals that make it even easier to install bathroom solutions. 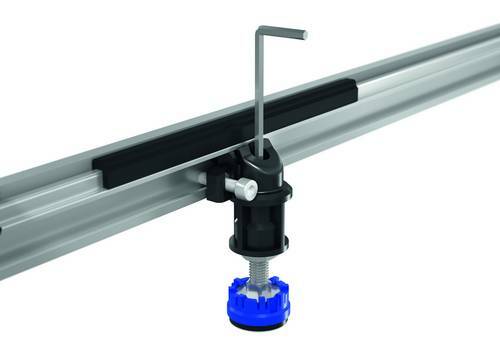 This includes a variety of installation videos about the ESR floor-level installation system and the sealing kit, with easy-to-understand instructions for simple, fast and secure installation. Other tools available at www.kaldewei.com include the product configurator, an interactive planning aid and other useful resources. With the new ESR floor-level installation system, Kaldewei now offers a complete solution for maximum security in the bathroom. Designed with two sealing layers, the system frame for floor-level applications ensures reliable waterproofing of the enamelled shower surface for optimum protection against water penetration over its lifetime. 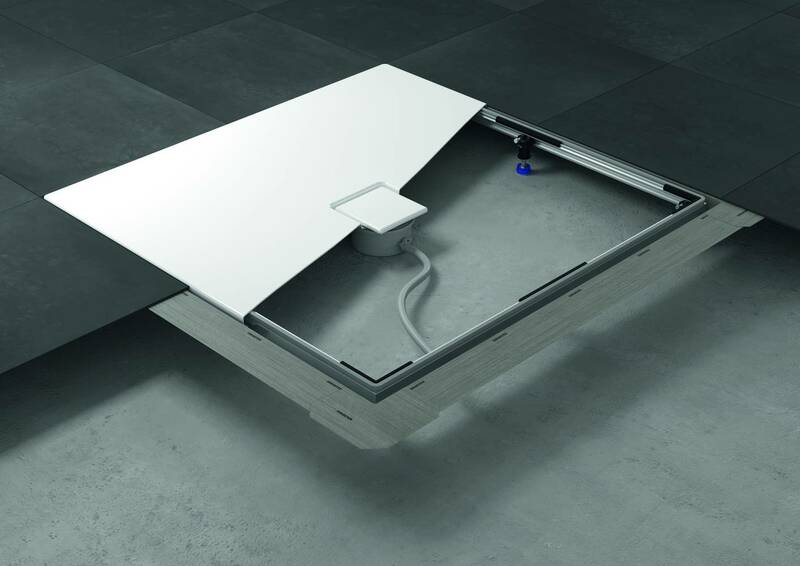 Fully pre-assembled in sizes from 75 x 80 cm to 100 x 180 cm, the solid aluminium frame of the ESR floor-level makes a perfect fit for the relevant shower surface. Sound insulation tape and foot units are pre-fitted to the frame, making the installation even simpler and faster for the installer. Also included is a specially developed version of the Kaldewei floor-level sealing kit, whereby the insulation strip and preformed corner profiles are applied directly to the frame and integrated into the composite floor and wall sealing to protect the building fabric. A second sealing layer applied to the frame profile is designed to prevent water from leaking underneath the shower surface. The 3D Flex leg system can be adjusted both horizontally and vertically, allowing for flexible adjustment to almost any installation situation. A separate extension kit enables heights of up to 250 mm, with easy adjustment of the 3D Flex leg system and individual fine-tuning of the foot units from above using the Allen key supplied.